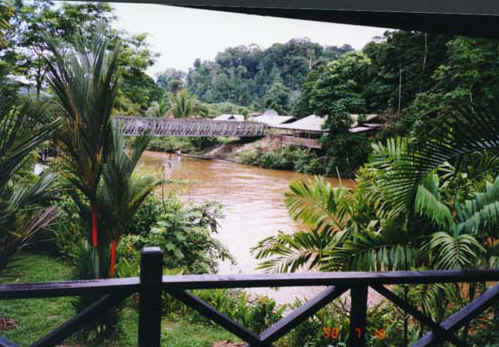 Mulu National Park is located in the interior of Sarawak in the middle of a rain forest. 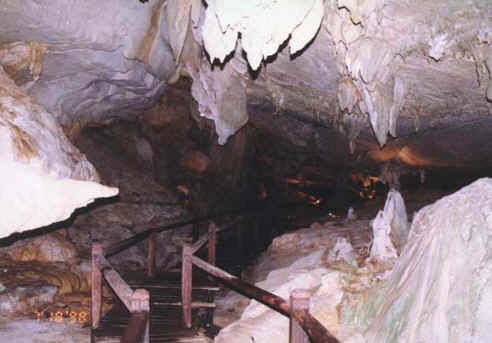 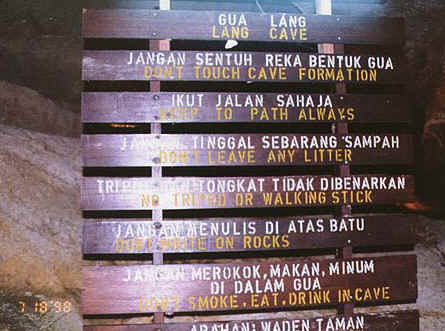 Its main attraction are several caves. 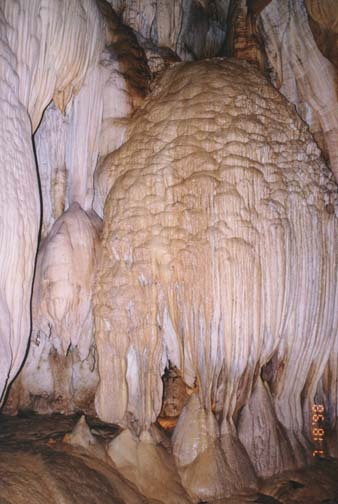 Lang Cave has the most active formations. 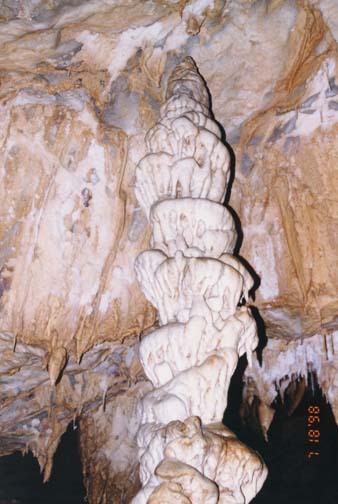 A stalagmite rising almost to a stalactite which when they meet will form a column.